Showing 2 of 8 Slide(s). Tianjin Grand Bridge is the second longest bridge in the world. It is located in China. 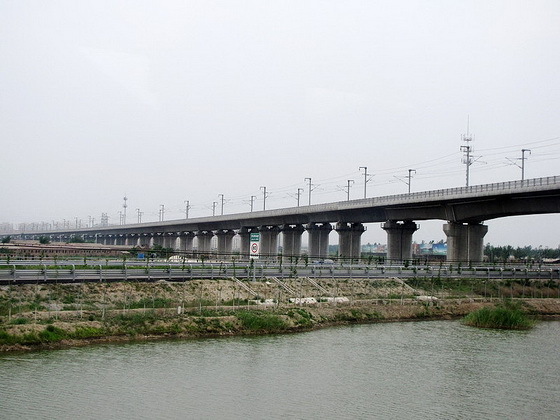 Tianjin Grand Bridge runs between Langfang and Qingxian and it is the part of the Beijing–Shanghai High-Speed Railway. Its total length is 113,700 meter. The construction started in year 2006 and it was opened for high speed rail in 2011.